Morroco was teeming with sea life in the ancient world--50 million years ago. 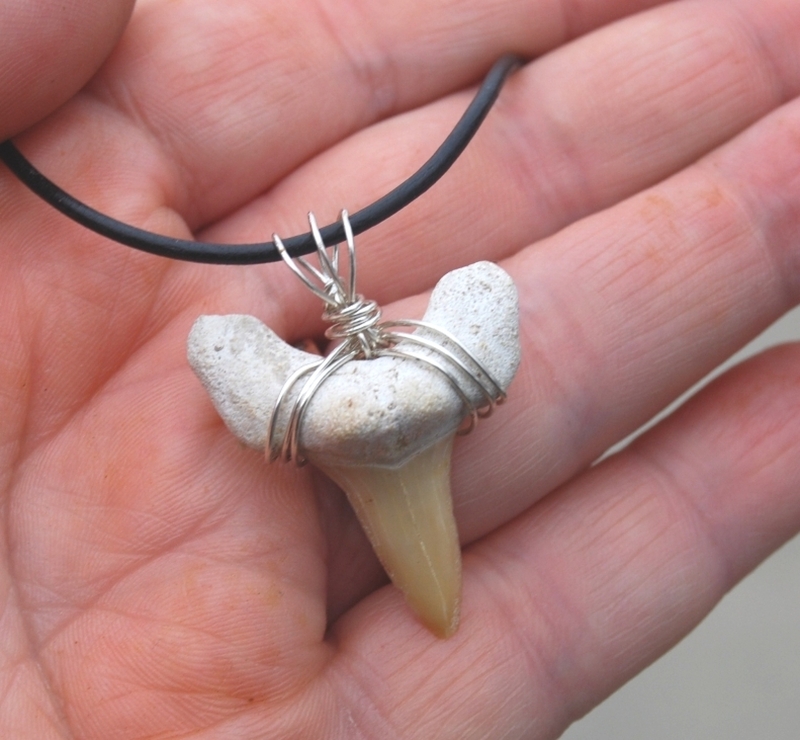 This Morrocan fossilized otodus obliquus tooth is wrapped in Sterling Silver wire and hangs from a 20-inch black waxed cotton cord necklace finished with a Sterling Silver lobster clasp. The pendants pictured have found new homes. Yours will be similar, but unique. They are all around 1 to 1-1/8 inches long, ranging from tan to brown. I can email you a photo of the exact pendant you will receive, just make your request when you purchase. This 30-foot ancestor to the Great White was swimming around 50,000,000 years ago! 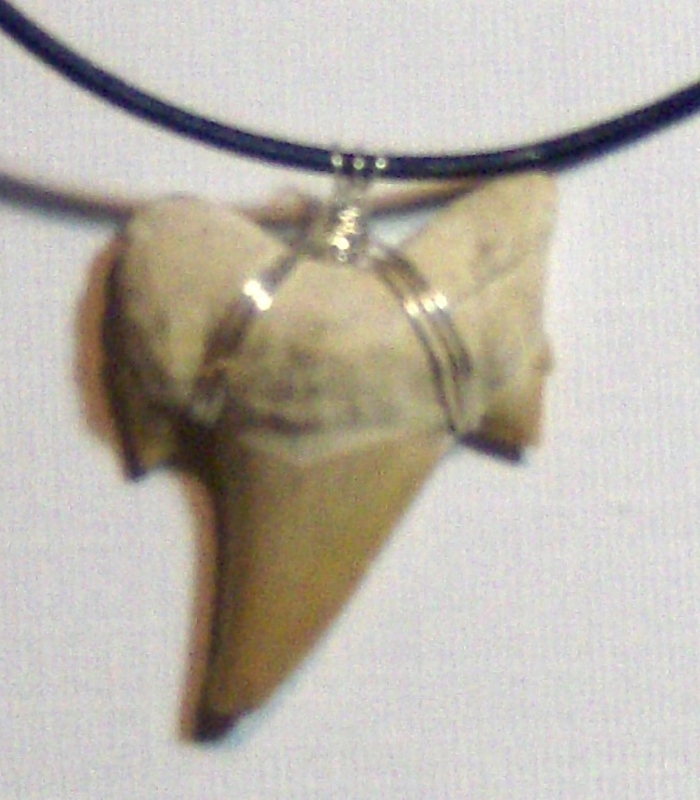 Otodus obliquus is from the Eocene period and megalodon (the largest ocean predator ever) is probably his descendent, as is today's Great White. His teeth ranged in size from about 1 inch to upwards of 6 inches! The last photo shows a similar species, but the rows of teeth are similar to otodus obliquus. 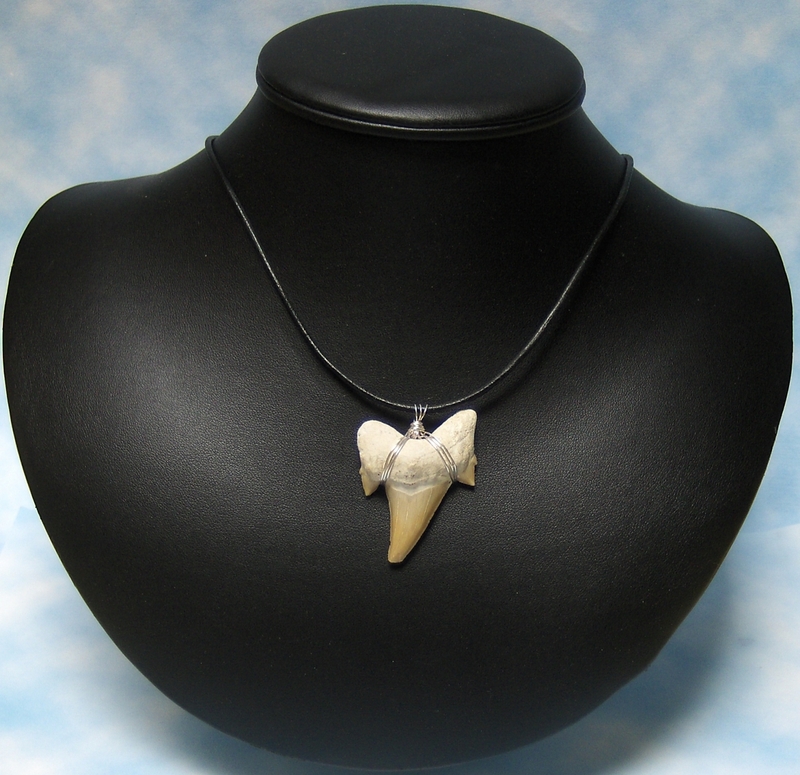 Metaphysical: This fossil is said to enhance telepathic communication between past and present. It helps dispense old 'programming,' and heighten accomplishments in business. Facilitates communication with one’s Spirit Guides & Totem Animals; for protection, for grounding, and to connect one with Earth energies.